adidas Originals is set to release the ribbed constructed adidas NMD R1 Triple Black this Thursday, March 16th, 2017. Following the recent success of the “Triple Black” adidas Ultra Boost, the adidas NMD now receives another all-Black makeup for Spring 2017. 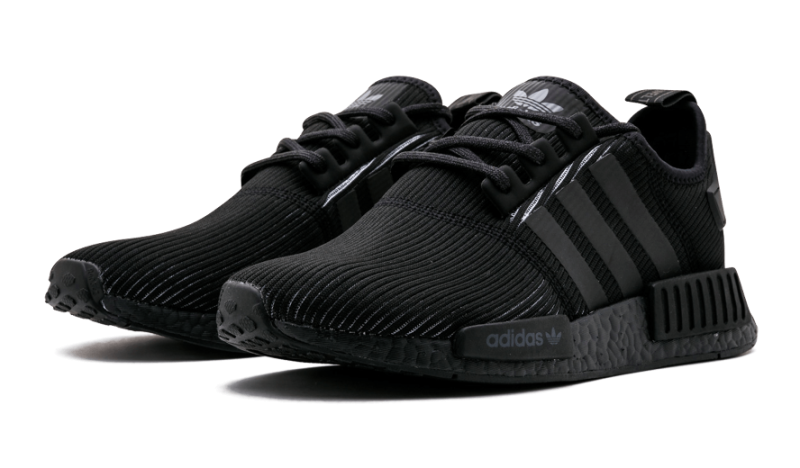 This “Triple Black” version of the adidas NMD features a textured upper constructed with a stretch mesh material. Reflective 3M covers the Three Stripes branding, while sitting atop a Black Boost midsole and rubber outsole. Look for the adidas NMD R1 “Triple Black” to release on Thursday, March 16th at select adidas Originals retailers. The retail price tag is set at $140 USD. You can find them available now at Stadium Goods or eBay.